Storm System Spawns Tornado in Arkansas, Blizzards in Plains - Integration Through Media ....! 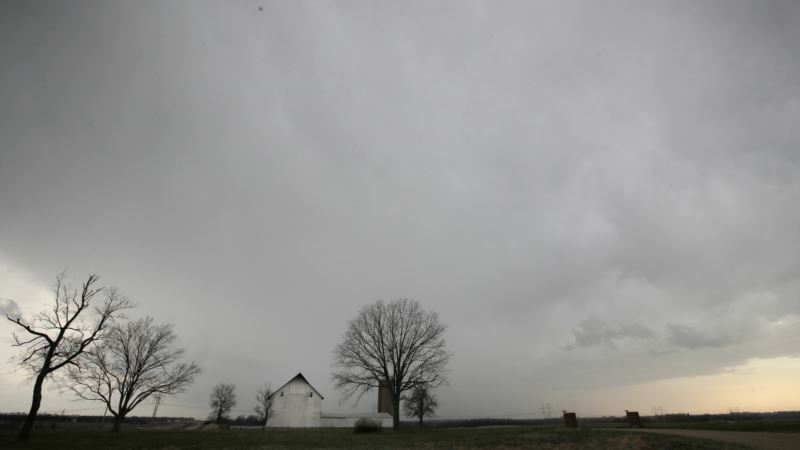 (VOA): A potent spring storm system that's expected to persist through the weekend has raked across the Midwest and spawning at least one tornado in Arkansas as blizzard conditions blanket much of the Northern Plains. A tornado ripped through the tiny Ozark Mountain town of Mountainburg, Arkansas, injuring at least four people and causing widespread damage Friday afternoon. Crawford County Emergency Management Director Brad Thomas said there were at least three entrapments following the twister. He said he did not know the condition of the four people hospitalized. Meanwhile, blizzard warnings stretched from northern Kansas across most of Nebraska and South Dakota into southwestern Minnesota and northeastern Iowa, with winter storm warnings and watches covering most of the rest of Minnesota, Wisconsin and Michigan. Heavy snow already blanketed parts of western Kansas, Nebraska and South Dakota.